Chronic stress can have long term damaging effects on the brain. Medical experts tell us this, and it has been demonstrated repeatedly through scientific research studies. Memory problems – misplaced keys and forgotten appointments – may be one of the first signs you’ll notice that chronic stress is affecting the way you’re brain is functioning when you’ve suffered from chronic stress for an extended period of time. Studies show that chronic stress can cause inflammation in the brain, re-wire neural pathways, literally change the structure of the brain, and cause shrinkage of the brain – which can all negatively impact the brain’s ability to function. When your stressed, electrical signals in the brain associated with factual memories weaken while areas in the brain associated with emotions strengthen (making you more prone to emotional instability). 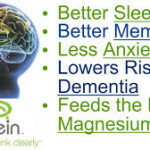 Most people are completely unaware that there are scientifically researched nutrients you can take to help your brain deal with this sensory stress load, combat the effects of stress on the brainm and improve cognitive function. In fact, these nutrients can completely change how your brain performs. The fact that brain-boosting supplements even exist goes unnoticed by the average person, but can literally save your brain and be life-changing if you know about them. One of the effects that stress has on the brain is that it causes inflammation, according to studies. Inflammation on the brain is one cause of memory loss and depression. Therefore, nutritional supplements for inflammation are important to take when you are under chronic stress in mitigating the effects on the brain and reducing the possibility of inflammation. Supplements such as curcumin and fish oils (omega fatty acids) are important in reducing inflammation. fatty fish like salmon, mackerel, tuna, and sardines. fruits such as strawberries, blueberries, cherries, and oranges. Popular Science magazine wrote about a recent study in mice published in the Journal of Neuroscience shows that one of the effects of chronic stress on the brain is Inflammation, and inflammation is a cause of memory loss and depression. In the study, several mice were stressed by periodically putting a much more aggressive mouse into their cage. After six days of exposure to the stressful conditions, the stressed mice could no longer recall the location of a hole to escape a maze, which they remembered easily before the stressful period began. Jonathan Godbout, a neuroscience professor at Ohio State University and one of the study authors said in a press release. that while the stress mice didnt remember about the hole at all, another group of mice that weren’t exposed to stress had no problem remembering it. Moreover, for four weeks after the trauma, the stressed mice continued to cower in corners, the mouse equivalent of social avoidance, a major symptom of depression. The researchers hypothosize that the stress was affecting the mice’s hippocampi, a part of the brain key to memory and spatial navigation. They found cells from mice’s immune system, called macrophages, in the hippocampus, and the macrophages were preventing the growth of more brain cells. The researchers concluded that the stress caused the mice’s immune systems to attack their own brains, causing inflammation. 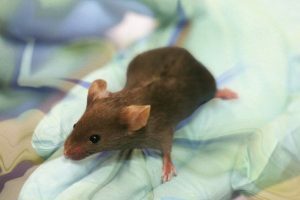 Later the mice were given a drug known to reduce inflammation to see how they would respond. Although their social avoidance and brain cell deficit persisted, the mice had fewer macrophages in their brains and their memories returned to normal, indicating to the researchers that inflammation was behind the neurological effects of chronic stress. Stress creates free radicals that kill brain cells. When you are stressed your body increases the production of the hormone cortisol, and cortisol. 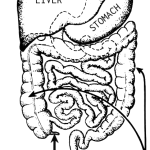 in turn, creates a surplus of the neurotransmitter glutamate (Source.) Glutamate creates free radicals — harmful unattached oxygen molecules — that attack brain cells much in the same way that oxygen attacks metal, causing it to rust (source). Free radicals actually punch holes in the brain cell walls, causing them to rupture and die. Antioxidant Supplements are important on reducing the effects of oxidative damage to the brain caused by stress. Antioxidants protect the body from damage caused by harmful molecules called free radicals. Many experts believe this damage is a factor not only in the development of cognitive problems, but also in the development of blood vessel disease (atherosclerosis), cancer, and many other conditions. 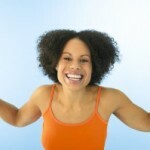 Stress also indirectly contributes to other lifestyle habits that create more free radicals. If stress causes you to lose sleep, eat junk food, drink too much alcohol, or smoke cigarettes to relax, these are contributing to your free radical load. B6, B12, as well as all B Vitamins – take a good Vitamin B Complex supplement. Natural nootropics are non-prescribed compounds including vitamins, herbs, amino acids and other natural compounds that protect your brain and support peak cognitive function. There are also prescription drugs which fall into the category of nootropics (brain function enhancing drugs), but the prescription nootrophic drugs come with many negative side effects. Natural nootropics provide all the brain-enhancing benefits without neurotransmitter depletions, adverse side effects, or building a tolerance or reliance, unlike most of the prescription drugs on the market for improving cognitive functioning. The mechanisms for natural nootropics are quite different than prescritpion drugs in the way they act within the structural connectivity of the brain, the improvement of blood flow and oxygenation, and the long-term strengthening of various brain regions. Think of nootropics like a super supplement for cognitive function and protecting your brain. Huperzine-A: naturally comes from the Chinese club moss plant. Huperzine-A has no toxicity and minimal to no side effects. Research shows that huperzine-A can improve memory, relieve depression, improve neurological and cognitive functions, reduce inflammation, and act as an anticonvulsant. It protects the brain and strengthens memory, improves brain neuroplasticity (helps the brain form and reorganize connections), improves neurogenesis (grows and develops neurons), and supports learning. 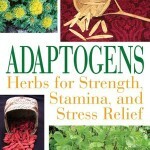 Huperzine-A can be found in high amounts in the adaptogenic herb complex TianChi. Lion’s Mane: a natural, edible mushroom that is most commonly found in health food stores, and is also available as a supplement. Lion’s mane has the ability to regenerate the brain, protect the brain, reduces inflammation, has anticancer properties, and improves anxiety, cognitive function, and depression. Ginkgo Biloba: made from the leaves of the ginkgo biloba tree and has been used in Chinese medicine for thousands of years. Ginkgo biloba improves memory, attention, and blood flow to the brain, and reduces anxiety, inflammation, and oxidative stress. It’s easy to find in supplement form, just be sure to buy a high-quality brand that you trust. Artichoke Extract: also made from leaves, artichoke extract has potent antioxidant effects and enhances learning and memory. Tryptophan: a naturally occurring amino acid that is commonly known to make people sleepy, tryptophan has strong nootropic effects. Tryptophan has been shown to decrease memory deficits, alleviate depression and anxiety, and improves sleep. To ensure you’re consuming balanced ratios of amino acids, it’s best to take an essential amino acids blend like Kion Aminos. L-Theanine: also a naturally occurring amino acid, L-Theanine is found in high amounts in green tea and has been shown to reduce anxiety and neuroregeneration, improve mood and cognitive performance, and induce relaxation. It combines well with caffeine (see below). CBD: naturally comes from the cannabis plant and is considered a very powerful nootropic. CBD has been shown to enhance focus, creativity, and mood, and reduce general anxiety, social anxiety, chronic pain, stress, ADHD, insomnia, headaches, and inflammation. Choose the nootropics which best address your specific cognitive improvement goals. You can enhance the effects of the supplements by mixing and matching to obtain a synergistic combination of each compound’s benefits.